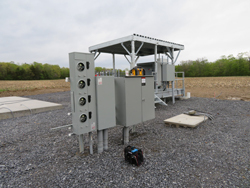 Development Electric provides flexible, unique electrical services for industrial and commercial customers. Based in Clifton Park, NY, Development Electric is an electrical contractor that can customize solutions for new builds, additions, repairs and more. From lighting issues to security and fire alarm problems, Development Electric can make sure all of your electrical needs are taken care of. Call us today, or email us with your bid opportunities. We’re always seeking new ways to deliver incredible service, without exception. When you need electrical services completed, finding a master electrician is vital. A master electrician will make sure that each step of the process is completed safely and thoroughly. Our licensed master electrician, Eric Gandler, promises to make the most of your investment by delivering the best wiring and other electrical solutions for your particular needs. We partner with our clients to make sure their projects are completed within budget, as well. No matter the extent of the work, you can rest assured that Development Electric has you covered. We serve Clifton Park, NY; Albany, NY; Schenectady, NY; Troy, NY; East Greenbush, NY; Saratoga Springs, NY; and the surrounding areas. Please note, we work by contract only, so any interested clients will need to email us with more information about their commercial or industrial projects. At Development Electric, we work with commercial and industrial customers who need repairs or electrical work done on new building projects. 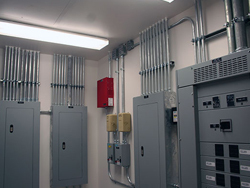 We specialize in both high-volt and low-volt projects, as well as lighting, security, fire alarm and switchgear services. Find out more about all we can do for you by calling Development Electric today. Our licensed master electrician can create an affordable, flexible solution for your electrical needs. Call or email us today with your industrial and commercial bid opportunities.